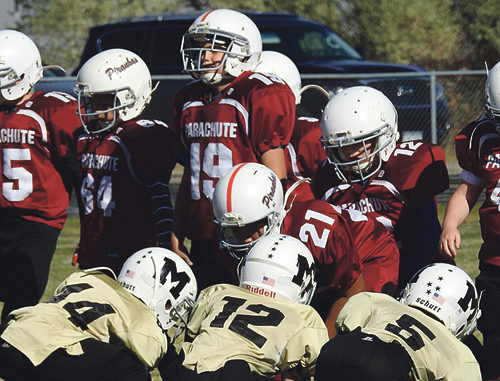 The scrappy younger Mustangs took to the gridiron Saturday against a big, bruising bunch from Palisade. Holding to the slogan “we never quit,” the boys quickly established who was boss on the home turf of Starbuck stadium. The swarming defense kept the Piranhas off balance with good pursuit, strong tackling and great positional awareness. Offensively, the players provided a balanced attack with many players contributing to the running game. Most notable was the improvement in blocking, particularly the unselfish upfield blocking provided by running backs. Proud coaches were enthusiastic about a big home field win.